Interested in the Engineering school? Since I'm studying commerce and math, I never ventured out to Thorton or any of the engineering buildings until this semester, as two of my math classes are there. They're awesome classes, but definitely mostly engineering students. The structure of these classes and their course-loads is unlike that of any other class I've taken in the college. And it got me thinking--what is the life of an engineering student like? How is it different from someone in the college? I do have plenty of engineering friends, but I wanted to know more about their academic experience. I decided to interview a real live engineer to find out. He's currently a second year. How did you know you wanted to be an engineer? Early in high school, I thought I would be pre-med. That ended soon, as I realized biology wasn’t my thing. But chemistry and physics were, and I loved my AP classes. My AP science teachers introduced me to the idea of being an engineer, so it was in the back of my head, but I had never had an engineering class before, so how would I know? I liked chemistry, so I thought chemical engineering was for me. But I also liked physics, but that’s mechanical. It really wasn’t until I came to UVa before I realized where I wanted to specialize. I took a few mechanical classes and really enjoyed them, so I just decided to run with it—I loved the material and could really see myself liking it for the rest of my life. This was also based on the fact that my roommate was taking chemical class and I looked at the information he was covering and realized that wasn’t where my interests lied—mechanical was indeed the right fit. After declaring my major, I decided to take an intro to aerospace class to see if I liked it and decided I did! So I checked out my schedule, figured I could manage both, and declared my double major. At no point was there ever an “aha-I-want-to-be-a-mechanical-engineer” moment. But this is definitely what I want to do and I love it. What are you favorite parts of the E-school? I love nearly all of my classes. It’s nice to have small classes; my largest intros were probably around a 100 students. Most of all, I love what I’m learning. No papers, no language requirements. I like the fact that our courses are pretty regimented—it’s easy to keep up with the schedule and I always know that linear homework is due every Wednesday. When it comes to choosing classes for the upcoming semester, I like that I don't have that much choice in my schedule—no freaking out about what to take. And if you need a class for your major, you are pretty much guaranteed to get the classes you need to register. Overall, sign up time is generally less stressful for engineers than others. What about electives/non e-school classes or double majoring outside in the College? Definitely have room for electives—it’s built into your schedule, which is nice. Right now I’m taking social psych and love branching out a bit. Also, tons of e-schoolers double major in the college: sometimes econ, Spanish, pretty much anything. If you want to do it, it's definitely possible. Do you notice a difference of workload between e-schoolers and other schools? Yes, workload is larger and just different. Not just more work—if every kid in the college did as much reading as they were assigned to do on time, it would probably be similar workload. It’s more just different types of work: not a lot a reading or papers, but more just problem sets. As for the number of hours, students in the college typically take 15 credits whereas an e-schooler will take 15-18, sometimes more. Also, I won’t complain that most e-school classes curve, at least as far as I’ve seen. There’s also a lot of collaboration with your fellow students on homework and projects. Apart from tests and quizzes, students are typically encouraged to work with your peers and discuss on all assignments, as designated by your professor. There’s this “anything goes attitude,”—the only amount of help that is too much is straight copying someone’s work, which doesn’t help anyone anyway. There isn't anything wrong with walking someone through the problem completely when they don't understand. I love the room for collaboration, as it gives you the ability to get help from classmates, which is oftentimes easier to do than seeking out TAs or professors. I find this true for a few reasons. First, it’s just more convenient. There’s bound to be someone in your dorm in the same class and they probably have a question for you too. Second, it’s sometimes helpful to learn from a fellow student, someone who is learning it with you instead of someone who has been doing this for years. It gives you a different perspective than in class and you can figure it out together. If you are interested or thinking of possibly going into engineering, I hope this post was somewhat helpful. I definitely learned a thing or two from the interview! P.S. SPRING IS ALMOST HERE!! 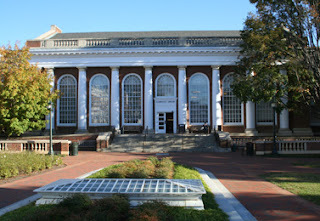 UVA has numerous libraries - seventeen, in fact. Many undergraduate students stick to either Clemons or Alderman library- though they can occasionally get crowded, especially around the time of midterms or finals. These libraries are close to old dorms, and close to many buildings where classes are held. They both have their advantages (Clemons is open 24 hours during the week, and Alderman has the much coveted MacGregor room - commonly referred to as the "Harry Potter" room). But I've discovered one of UVA's best kept secrets: the Arthur J. Morris Law School library. Though the library is geared towards law students, I've found that it's an excellent place to study. There's a main room (called the Caplin Reading room - pictured below) that is an extremely comfortable place to do work. There's a second and a third floor, both with plenty of studying space and numerous study rooms for group projects. Undergraduate students are allowed to study in the library (as long as it isn't during the exam period), and one benefit for upperclassmen is that there's ample parking. The library is open 8am-midnight every day, and definitely worth checking out! I'd venture to say that most of us know what double majoring is. What isn't clear is how much work it takes, when/ if it should be done, and how it affects job offers and graduate school applications. DISCLAIMER: I'm neither an employer or admission counselor, but I did interview several of each on this topic. Furthermore, as with most decisions, I encourage people considering double majoring to seek many sources of advice, not just one. So with that out of the way, let's go (after a calming look at Noble, one of my favorite dogs ever). Double majoring can be a great way to marry two disciplines. More and more, fields are becoming interdisciplinary. For example, if you are interested in genetic counseling, you might want to double major in Biology and Psychology to have a thorough understanding of the science and people. You could also do Biology and Religious Studies to enhance your understanding of cultural influence on medical decisions. Really, the options are endless because you can combine different studies to shape the knowledge base that will most benefit you. A major is about thirty credits, and a student requires 120 to graduate. If you choose to double major, you can easily get it done in the allotted four years. What you sacrifice is breadth of education. By choosing two fields to devote time to, you are opting to explore less. Some people don't mind this; they know what they want. That's fine, but if you are not an Echols Scholar or did not come in with a sizable number of transfer credits, just know that your first few semesters will be requirements and most everything else will be your two majors. You will have time to explore--just less than someone who isn't double majoring. When I sat down and looked at the options (major; major/minor; major, major/ minor; etc. ), I decided that I wanted skill sets--not listed degrees. What I mean is that I wanted a dynamic background strong in math with attention to computer science, psychology, and ethics. I wanted more flexibility than a double major in biology plus any of the above fields could give me. Moreover, I didn't need extreme depth in any of the background areas--I just needed basic knowledge. Thus, I've taken a variety of classes that get me very close to fulfilling minors in most of these areas, but I'm taking what I need. I'm not worrying about having the label on a transcript because what's more important to an employer is that I know what I need, not that I have a specific major-minor combination. One of the most stressful things in college that you'll ever experience is selecting the right classes for the term. With hundreds, maybe even thousands, of different classes offered at the University of Virginia, it can be difficult to even find a few handful of classes you want to take. One of the most frustrating things during summer orientation before your first year was the orientation leaders throwing a fat course catalogue at you and telling you to chose at least ten classes. Here are some pointers on setting your near perfect schedule. Choosing. Although most students won't be taking ten classes in a semester, it is always crucial to chose some extra, because often you will not get into the class of your wishing. When choosing classes, there are many aspects to look at. First of all, depending on which school you are in, you have different requirements to fill. I am in the College of Arts and Sciences and I have requirements for writing, math, sciences, history, and more. If you're looking for a class, be aware of ones that fill more than one requirement. For example, my GETR (German In Translation) class can fill a history, second writing and religion requirement. In your first and second year at the university, you will probably be filling most of your basic requirements, which means that you'll be trying to get into classes that fill up extremely fast. Don't stress out about this, because the beauty about college is that you have the flexibility to take what you want. If you can't get all of your classes, check out classes that you normally wouldn't take. It could be Astronomy, Arts, Computer Science, Studies in Woman and Gender, or anything else -- the possibilities are endless. Most people change their intended majors from when they enter college, so don't tie yourself down to a set category of classes. 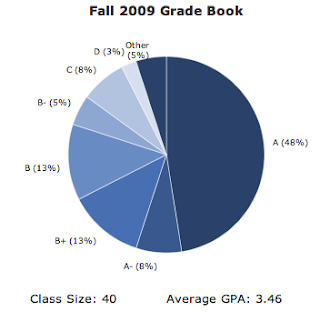 A good way to check with some classes is to check out sites such as thecourseforum.com for reviews of classes, teachers, and sometimes even class grades. Adding and Dropping. During the whole selection process, you'll also have a deadline to add and drop classes. Typically the deadline will be around two weeks into the semester, so you can go to your classes and decide if you want to stay in them or not. In these two weeks, you can chose to add classes, chose to audit one, or drop one. This is all easily done online, over the Student Information System run by UVA. All you have to do is to make sure is that you still fill a 12 credit minimum requirement to be a full time student at the university. A great thing about this time of the semester is that you can attend one class of a course, even if you're not officially enrolled in it yet and decide whether you like it or not. Most professors won't mind you sitting in, because who would want to discourage interest, right? Course action forms are also a beauty for a filled class. Go see the professor, show your interest, and there is a pretty decent chance for the professor to let you into the class anyway. With all of these flexibility in setting your schedule, you should never really fret about getting all of your classes. There will always be many opportunities to get into a class, whether it be now or later. The best thing is always to take classes you're interested in, but also never be afraid to explore others you wouldn't normally think of taking! Ah, February, the month of never-ending applications. What forms am I currently filling out? Applications for leadership roles, summer internships, fall study abroad, and the list goes on. To follow up Shelby’s post about the Comm school, I thought I would talk about one application I am currently debating whether or not to send in: the Curry School of Education. I entered UVa knowing I wanted to study English literature, flirting with the idea of Comm school, and happily undecided about a major. It wasn’t until I started tutoring through Madison House (a great resource for community service that deserves a blog post all to itself), that I discovered my love for teaching and passion for education. And so I find myself, at the very last moment, rushing to take the prerequisite course and working on the application that is due February 15 during your second year at UVa (a mere 4 days from now!). The Curry School offers a five-year program, at the end of which graduates receive a Baccalaureate degree from the College of Arts and Science (B.A. in English, in my case), as well as a Masters of Teaching from the Curry School of Education, complete with licensure and endorsement for the area of education in which you train. Course work begins third year, incorporating valuable field experience with Curry school classes. The general core requirements for the program differ depending on which area of study you choose (Early Childhood, Elementary, Secondary, or Special Education), but everyone must enroll in one prerequisite class, titled Teaching as a Profession, and the accompanying field experience before entering the Curry School. The application itself is simple compared to college applications. A transcript and summary of your academic progress at UVa is required, as well as four short essays focusing on your interest in education. They are looking for students who have successfully completed the prerequisite course with a recommendation from the course instructor, who display a high academic potential, and who have a passion for education. UVa offers its students a plethora of options for achieving their academic goals. No matter what your interests, I promise UVa has a program for you. For most of us, the only problem is deciding which interests to pursue! I now find myself in the midst of a very tense period of college life for many second year students here at UVa, the period of time waiting for an admissions decision to the McIntire Schoolof Commerce (aka the Comm School). I recently submitted my application to the Comm School on January 25, the deadline. I hope to receive an admissions decision by the end of spring break and I am keeping my fingers crossed. Though the actual application process was not nearly as intensive as the application process for college (that was a real ordeal), I still did put in a significant amount of work toward this application. The application questionnaire required me to report any honors I’ve received since coming to UVa, as well as any leadership positions I have held. In addition, the application needed two short, 250-word, essays, a far cry from the demands of the Common App and UVa supplement, but it was tedious writing nonetheless. My first essay was about what I’ve learned through participating in a Christian fellowship group at UVa. I wrote my second essay about overcoming the challenges of two ACL tears and the subsequent reconstructive knee surgeries I went through as a result of high school lacrosse. Though the admissions department evaluates applicants holistically, I suspect that they give significant consideration to an applicant’s GPA. Achieving a respectable GPA is the element of the application process that requires the real hard work. Additionally, in order to even apply to the school, I had to take an introduction to business course, two semesters of economics, one semester of statistics, and two semesters of accounting here at UVa. Fortunately, I had already received credit for calculus through AP scores thus have not had to take any difficult math courses here in college. I came to UVa last year with my hopes and plans firmly fixed on doing the Commerce school. Because the coursework for the Comm school doesn’t begin until one’s third year, I have had the opportunity to take classes in many different departments. In my three semesters here, I have really been fascinated with both my economics and religious studies courses. Consequently, my initial fixation on the commerce school has been slightly altered. Even if I am to gain entrance into UVa's very prestigious and highly ranked McIntire school, I may opt to double major in Economics and Religious Studies instead. It will surely be a daunting decision when and if I am fortunate to be faced with it. Regardless of the outcome, I am so thankful to have the many options our great university has to offer. So when teachers want you to go around the class and introduce yourself, they also may add in the typical icebreaker question: "Give an interesting fact about yourself." Usually, students answer with a "I like to collect [insert something cool here]" or "I've been to [insert exotic country here] where I rode on an alpaca and wrestled with a chimp." My answer usually is, "I have never driven a car. I don't have a license or ... even a permit for that matter." I'm 19 years old. And yes, that may or may not seem strange to you. The reason why is because I grew up in a city in New Jersey, a place where traffic and parking is the worst of your nightmares. In fact, the public transportation system (Bus, PATH train, and Lightrail) is pretty much amazing. And yes, you guys, this story has a point to it. I went to an inner-city public high school which was continually top 5 in NJ for a pretty long time, so some liked to call it a "magnet" school. My school didn't have a football team (because honestly, where you can put a football field in the middle of ten-story buildings and brownstone houses) or any homecomings. It was unique. 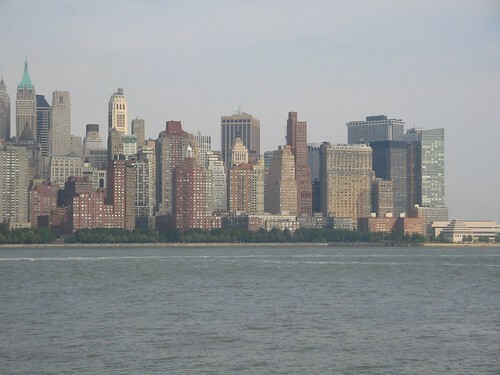 Everyday while on my way home on the lightrail, I would always pass by the the New York City skyline. So, why UVA? Why Charlottesville? To name a few: Great academics, Check. Historical Tradition, Check. College experience, Check. Location, CheckCheckCheck. I wanted to get out of the urban atmosphere and into a college town. While on my way down to visit UVA for the first time, I passed by lots of farms. Lots and lots of farms. I really wasn't used to it. 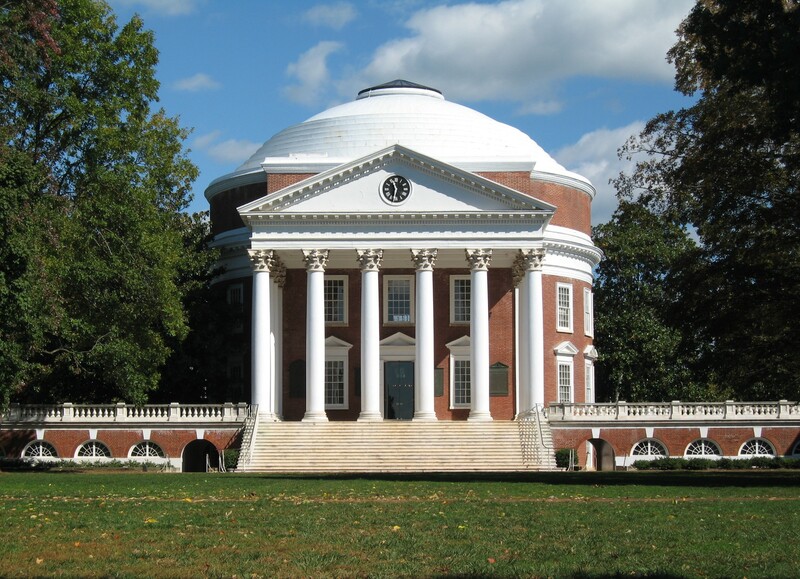 However, once we got to Charlottesville, I knew this was the place I want to b e. I took AP Art History my senior year of high school, and one of the sites we learned about was the Rotunda at the University of Virginia. It was so remarkable to see what I studied in reality. The campus or "Grounds" as we Wahoos call it, is obviously beautiful. With all the architecture of one style (Neoclassical), all of the buildings are uniform providing a sense of unity. Many people say that Grounds is really large, but I think it is a perfect size - If I can get from the Chemistry Building to the Art History Department on Rugby in 1o-15 minutes, so can you. From the gray concrete sidewalks surrounding my high school to the fresh green grass on the Lawn at UVA, I would say it was a 180 (Okay, maybe not totally), but still. One of the greatest things about Charlottesville, is that it has its own little urban feel downtown: tons of great restaurants, entertainment, movie theater, boutiques and stores. One of my favorite places it the The Flat: Takeaway Creperie. It's the perfect place to go for a Saturday or Sunday morning brunch. Just hop on the Free Trolley and you'll get there in a matter of minutes. They have a great variety of crepes for both those who have a sweet tooth or for those who don't! My personal favorites are the Spinach, Mushroom, Avocado, and Feta Crepe and the Nutella with Strawberries Crepe. Essentially, I just want to say that there is a little bit of everything here. The city girl, the go green enthusiast - or anyone in between can make this place feel like home, just like I did. The Spring Semester and Rush! For most students, the fall semester is busy enough. Between classes, sports, volunteering, concerts and events culminating with the traditional Lighting of the Lawn, most students would agree they could only use more time. Then comes the spring semester. Long-awaited classes and a return to dorm life confront all first-years riding down McCormick or Alderman. But about a mile off, Rugby Road is bustling too. Girls carry roses, boys strut across the streets, and the houses are decorated with tidings of welcome and acceptance. Just when you thought the hustle and bustle of the holidays was finally over, then comes Rush. You may be wondering, what’s Rush? What is Rugby Road? What does it mean to be a part of Greek life? What’s a fraternity or sorority? Why in the spring? Or even, is it for me? Read on to get these questions answered. No matter what University you attend, if there is a Greek life, Rush is the process first-years and some second-years go through to enter it. The Greek system is the group of fraternities or sororities at a college or university. A fraternity is a formal organization of brotherhood and a sorority, a formal organization of sisterhood. Usually, such organizations participate in and host philanthropic and social events affiliated with their chapter or college. There are various advantages and disadvantages to joining. For example, you meet a lot of people and have an extra safety net when you go out at night! However, it is usually expensive and takes up a lot of time. These and many other things should all be considered and weighed against one another to determine if joining the Greek system is “right” for an individual. No, boys do not receive and carry flowers as girls do, but in less obvious ways, Rush is different for boys and girls! Typically girl’s rush is more formal with girls assigned sorority houses to attend in formal attire. Then, the girls and the sororities themselves rank their preferences and a new series of houses are scheduled for the following round. For boys, the process is less formal, as boys who are pledging simply visit houses they like and are invited or not invited back to events specific to that fraternity. For boys and girls, this continues until only one house is left, in which case he or she will receive a “bid.” A bid is an invitation to join that sorority or fraternity. Rush is also different for students at UVA! A new trend for universities across the nation is deferred rush. This means instead of having first-years go through the process in the Fall, they are given the opportunity to adjust to independent, University life and make friends through other activities before doing so through Rush. Most students seem to favor the idea of deferred Rush and believe it helps to get acclimated to the University independent of Greek life. So, what about you? Is Greek Life your thing? Whether or not you decide to go through the rush process and whether or not you decide to join a sorority, it’s important to keep in mind that here at UVA, over 60% of students are not involved in Greek life. Merely one third of students actually decide to join, while the others may occasionally attend date functions or participate in sponsored community service activities. If you aren’t in that 33%, does that mean you can’t have a social life? Quite the opposite! With more time to contribute to other activities, you can become a part of 87% of students involved in one or more of 800+ clubs! Volunteer with Madison House or Habitat for Humanity! Join Sailing Club or an intramural sports team! Give tours through the University Guide Service! Or, create a club yourself! The opportunities are endless.